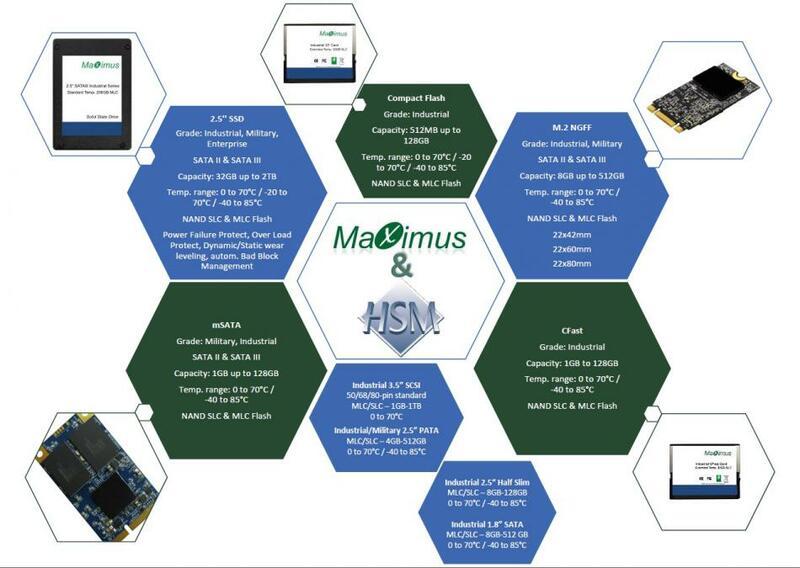 Since 24th April 2015 we are the premium Distributor in Europe for Maximus Technology (Shenzhen) Co., Ltd., with the distribution right to sell complete line Maximus brand products. You can find several SSD Solutions in our category Industrial Grade SSD Storage, where is also an overview of the product range. If you have any questions or a specific request, please don’t hesitate to contact our sales team (sales@hsmz.eu).